Recording artists, musicians, and studio technicians rely on signal processors to obtain the perfect tone from voices and instruments alike. Choosing the right signal processor can help create a definitive sound that brings out the essence of your music, yet many musicians have not considered the fundamental role that they actually play. We decided to provide you with information on the importance of selecting signal processors, along with our picks for the top processors on the market. 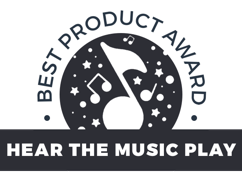 We looked for products delivering great sound quality, letting you effectively process vocals and a variety of instruments, and giving you the most for your money. With the features in the filter, sound dynamics, modulations, and other effects categories, you could use the FX2000 for vocals and any instruments you want on a given recording, and it will still sound good. Even for musicians with years of playing, teaching, or recording under their belt, finding an ideal signal processor can still be difficult. 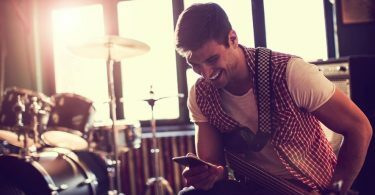 We know that signal processors are sometimes unfamiliar territory for experienced and new musicians alike, so we made sure to develop an article that you can trust. Our commitment to giving you accurate information on signal processors starts with our transparent approach to developing this list. We have direct experience with recording practices and using signal processors to achieve desired sounds across all types of genres, from classical to funk, and hard rock to hip-hop. We drew on our gear knowledge and personal experiences as musicians. First, we looked at the different kinds of signal processors that musicians and studio technicians currently locate on the market. We went through the list to check which processors could have an appeal to a broad range of users and certain users with niche needs, placing emphasis on the sound, ease of use, and functions that each device provided for its cost. We also asked technicians, musicians, and music teachers about the current crop of processors to see which ones they used and liked. This input helped us compile a shorter list of the top signal processors. We tested some processors with a very helpful recording technician, and spent a few more hours talking with our sources to get more specific impressions and details on the best processors. That way, we could better understand not only what users thought of the signal processors’ features, but how well the products worked in real-world situations, and which target groups would get the best use out of specific processors. Our research, experiences, questions, and discussions have helped create a list packed with information you can trust. Every musician needs an entry-level understanding of what signal processors do before actually using them. Our explanation of signal processing makes use of information from a great introductory summary by Robert Dennis, an expert recording technician. Also, for a more detailed discussion on the technical aspects of processing, check out this helpful Youtube video. You might well wonder what we mean when we use the word “signal,” and that gives us a great place to start this explanation. Even if you did not realize it at the time, you have come across audio signals in music before. If you have ever recorded music in a studio, sang through a microphone, played an instrument that requires electricity to function, or produced music with computer software suites, you’ve already had some hands-on experience with signal production and alteration. Even when you listen to your favorite song on your iPod or phone, you are hearing a recorded audio signal. 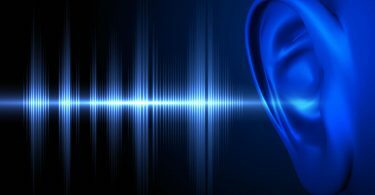 When you hear any sound, you are perceiving a sound wave that your brain processes. Sound waves are transmitted physically, but they can also be encoded electrically, as electromagnetic waves. So, you can think of audio signals as electrical messages that encode sound. These messages can be represented in two main ways: analog and digital. Analog signals as Wikipedia explains, use a fairly direct representation, where properties of the electrical waveform reflect the sound wave that speakers or headphones emit, and that you hear. To give an example, an analog signal with a high frequency will correspond to a sound wave that also has a high frequency, which you would perceive as a higher-pitched note than a low-frequency sound. Digital signals as also described in a Wikipedia article, represent and transmit sounds in a binary format. A digital waveform’s properties do not correspond directly to a sound wave’s properties. A high musical note does not need to have a higher electrical frequency when transmitted digitally, for example. Both digital and analog signals require signal processing during recording. Signal processors are devices that change the audio signals passing through them. They may filter out unwanted frequencies or attenuate certain levels of sound. Certain processors can add effects to a signal, such as repeating the signal at a lower volume slightly after its first pass, to add a delay effect. Processors used in recording usually accomplish numerous effects so that the user can make any desired changes to their instrumental or vocal input before the sound is actually recorded. 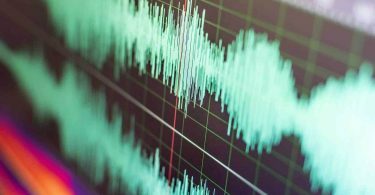 That way, users can make sure the sound they want reflects the actual signal that they will record, have a good idea of what the recording will sound like, and limit the amount of post-production required. You can change audio signals in a practically infinite number of ways, but there are a few main categories of processing functions that exist. Not every signal processor will offer every possible processing option, but most will deliver at least the basics of equalization, dynamics, and delay-type effects. Equalization or “EQ,” where the processor applies filters to raise or lower the volume of user-defined audio signal frequencies. The user can reduce the gain of a frequency to decrease the output amplitude, and thus, the volume of that frequency. The result is reductions or complete eliminations of certain frequencies of sound; for example, high frequencies can be reduced when recording a cello or electric bass. Alternately, the user may increase the gain of a frequency, increasing its amplitude and audio volume relative to other frequencies. This way, a desired frequency range, for example, midrange frequencies when recording vocals, piano, or a lead guitar, can be emphasized in the signal output. Dynamics also involve changing the audio signal’s amplitude, but in response to input amplitude, rather than frequency. Decreasing gain on high-amplitude signals compresses, or reduces, the volume of the output sound when the input signal reaches a certain level. Increasing gain for low-amplitude signals can increase the volume of the quiet sounds in a recording. Delay Effects shift a signal’s properties over time, such as repeating a signal’s features at a specific time interval, while changing properties such as amplitude or frequency of the signal, or which channel it travels through. Repetition at a different harmonic frequency can create a chorus effect, for example. Distortion can change the timbre or sound profile of the audio signal by altering its basic waveform properties. Input signals are altered according to algorithms that change how a given input wave behaves, for example, by adding new frequencies to an input sound to create a harmony. Pitch shifting and modulation change, respectively, the frequency or amplitude of an input signal. Pitch shifting raises or lowers the entire audio signal’s frequency to raise or lower the notes that you hear. Modulation may encompass features like creating timed decreases and increases in amplitude for a tremolo effect. What Are the Benefits of Signal Processors? Signal processors offer numerous benefits to everyone involved in recording music, from the performers to the technicians and producers. Each processor’s features will determine the specific benefits that they provide, but several core benefits can be generalized to most or all of the signal processors used in recording. Increasing the gain on desired frequencies and amplitudes, and placing filters on unwanted frequencies and amplitudes through equalization and dynamic processing can ensure that undesirable tones or audio qualities are not recorded. Also, these features help you avoid recording outside sounds accidentally. If you are at home, trying to record your vocals to apply to a music school, you don’t want to inadvertently record your roommate sneezing in the hall, hissing sounds from the microphone, or the ambient noises of your room. Processing with different types of filters help you avoid those types of outcomes. Your band might have a sound mix down perfectly in your practice space or at a small venue, but keeping your effects and amplifier settings the same will not necessarily give you the same sound when you record. Compression, gating, and expansion processing help recordings capture quiet parts of your songs, and keep the loudest parts from becoming clipped and distorted on the recording. Equalization can help your piano or vocals sound the same on your demo mp3s as they do when you play live for an audience. When you are playing music at home, in a music class, or with a band, you and your other listeners experience echoes and reverberation from the acoustics of your environment. When these environmental effects are not present, you might be surprised to hear how different your music sounds. Delay, reverberation, and echo effects can add a sense of depth or fullness that a recording might otherwise lack. You can also add effects like choruses or flange to change how your instruments sound, or replicate the same effects that you might create through your amplifier, synthesizer accessories, or effects pedals. 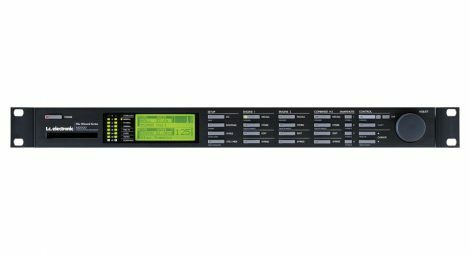 The Virtualizer 3D FX2000 Multi-Engine FX Processor, made by Behringer, is our choice for the best signal processor that can find a place in a home recording setup or a professional studio. 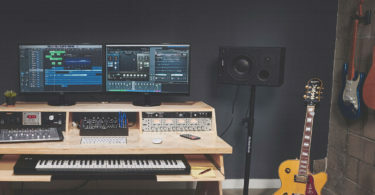 It retails for $129-$229, yet its features can meet a large number of recording needs, all while making sure that your music sounds bright and clean. While professional studio techs may already have a multi-purpose processor like the Virtualizer 3D FX2000, we found a lot to like about this unit, and only a couple of downsides. Our brief test recording session with this processor sounded great. The FX2000 allows for digital to analog conversions and back again, but we did not notice a significant loss in sound quality even when using analog inputs to digital outputs. The processor features that we tried did what they were supposed to, and we liked that Behringer included a variety of features. The de-esser effectively took out the hiss from recording vocals, while the gate and expander effects let us record a drum track without picking up the random noises we made in the background to test the features out. The filter, sound dynamics, modulations, and other effects categories contain a lot of features. You could use the FX2000 for vocals and any instruments you want on a given recording, and it will still sound good. The inclusion of pitch shifting, tape echo, and vocoder effects even encourages some experimentation, as you can look for new sounds that you would not normally consider. Depending on what you want to record, you might need to buy a separate preamp. We only noticed a recording quality issue with a computer-programmed rhythm track routed through the MIDI input. The recorded track sounded quieter than the original, even though we did not filter any frequencies or add effects. Our sound technician friend explained that he ran all vocals and some other types of input, like a DJ’s turntable scratching, through a preamp, and then out to the processor, because the FX2000’s preamplification seemed a bit weak to him. Our rhythm track might have been affected by this small issue. The processor’s layout is simple and uncluttered, but still poses some challenges. The display is large and easy to read. I know that some technicians like to keep a dim studio, so the bright display would be handy in those environments. We talked to a couple musicians who use the FX2000 in home recordings, and they said that they could filter and equalize signals easily.However, you can expect to spend a lot of time navigating the different processor and effects options with repetitive button pressing and knob tweaking. The musicians we spoke with said that, even after using this processor for months, they would occasionally trigger the wrong effects if they were not paying careful attention, especially if they were just trying to turn on basic preset effects like reverb. We talked to a couple musicians who use the FX2000 in home recordings, and they said that they could filter and equalize signals easily.However, you can expect to spend a lot of time navigating the different processor and effects options with repetitive button pressing and knob tweaking. The musicians we spoke with said that, even after using this processor for months, they would occasionally trigger the wrong effects if they were not paying careful attention, especially if they were just trying to turn on basic preset effects like reverb. The musicians we spoke with said that, even after using this processor for months, they would occasionally trigger the wrong effects if they were not paying careful attention, especially if they were just trying to turn on basic preset effects like reverb. The FX2000 could be a great system for learning the basics of signal processing in recording, and one recording school instructor we spoke with used it for that purpose. If you have only begun to learn about recording, and are still figuring out your effects from your EQ, then you will definitely need to spend some time with this processor. You will not unlock all of its possibilities in a day or two, and the interface issues we mentioned above makes the learning curve a bit steeper. For the recording professional with years of experience, we recommend the Universal Audio LA-610 Mk II as our runner-up for consistently delivering a warm, classic analog sound. Priced in the range of $1,550-$1,700, this processor is not for the musician setting foot into the studio for the first time. Instead, the LA-610 Mk II is optimal for highly experienced audiophiles, regardless of whether they are recording artists, producers, or studio technicians, who crave an authentic analog sound on their recordings. We liked several features, but also found a couple of caveats. It is fully analog, so you can record analog input without any unwanted distortion from conversion between different audio formats. The musicians we spoke to said that it’s great for laying tracks down on analog recording media. They also praised the ability to achieve the same sounds as classic recordings that inspired them to play music in the first place. We listened to organ, guitar, drum, and vocal tracks processed through the LA-610 Mk II, and they sounded warm and full, without any hissing, popping, or background noise. It does not offer digital output, though, so if you’re recording digitally, you may need to master the recording thoroughly to make sure it retains the sound you want. We were enthusiastic about the design layout, Every feature is independently controlled, so you can make any changes you want on the fly, without navigating menus or continuously hitting buttons. We could see where this would make it excellent for live recordings, or minimizing the time spent getting the right tone before a take. The features deliver effective control over dynamics and equalization. Everyone we spoke to about the LA-610 Mk II praised it, and the compression abilities especially sounded good to us. The changes in volume on the recordings we heard did not clip or sound too muted. It contains a preamp already built in, too, so you will not need to hunt for a separate preamp when recording vocals or instruments from a microphone. However, you will need to buy or own additional components if you heavily rely on delay, reverb, chorus, and other effects in your recordings, because the LA-610 Mk II does not offer them. The TC Helicon VoiceLive 2 Floor-Based Vocal Processor is distinct from our main recommendation and runner up for signal processors in several ways. This device is fully digital, sits on the floor with step-operated controls, and was designed mostly for vocal processing and recording only, rather than instruments. The VoiceLive 2 can vary in price, between $350 to $550 or even more, but you are going to be making mostly vocal recordings, this processor is worth the price. The design seems like it was intended for use not only with recording, but live vocal performances, which is why the core effects such as delay, gate, dynamics, and equalization options can be activated or adjusted by the foot switches. As a digital processor, it also offers a number of other effects like delay, harmonization, reverb, distortion, and the ever-present pitch shift, so that you can autotune yourself. If you accidentally hit flat notes under pressure, we can see where these effects could help you avoid multiple takes. Curiously, TC Helicon opted to include finger-operated buttons just above the foot switches to achieve certain tasks. even with multiple switches and a fairly large display, accessing the various effects settings and managing your saved processing builds could get tiresome. The VoiceLive 2 includes options that seem like they could help vocalists new to recording, like autotuning, auto-adjusted noise gating, and voice-operated gain control, but you would still need to have some recording knowledge, or a good recording teacher, to teach you how to actually make the most of these functions, and learn how to tightly control your sound without overprocessing it. The next signal processor we looked at was also by Behringer, a model known as the DCX2496LE Signal Processor. This device is actually sold at a higher price point than the 3D FX2000, as it runs between $250 and $350. It also has fewer overall functions than the 3D FX2000, but seems to be a more focused product. That is, the DCX2496LE offers a larger degree of control over dynamics and equalization, along with basic delay, but does not include a large package of additional effects such as distortion or chorus options. The equalization control is highly precise, as there is a five-band equalizer that allows you to see muting and clipping for all bands at once. The actual equalization is controlled by a single dial, using buttons to select the different bands, but at least they can all be monitored simultaneously, which is helpful if you are recording instruments, or ensembles, that contain a diverse range of pitches. We were able to get tight control over the dynamics, too, because there is also a digital display that lets you set specific thresholds, in decibels, for filtering. While it is not the only signal processor you would ever need, the DCX2496LE does its job well. It includes two-way digital and analog conversion, too, so there are some useful possibilities with this product, like creating analog recordings of digital instruments, and directly digitally tracking from analog amplifiers or synthesizers. Another multi-purpose signal processor that we looked at was the M-350 Effects Processor, made by TC Electronic. This device is priced between $169 to $259, so it falls on the more affordable end of signal processor options, and allows for digital and analog input and output. We heard recordings using this processor, and it did a decent job of being able to filter, process, and make different instruments sound clear. Some of the delay and reverb options sounded strange when applied, though, as if the presets were not properly configured. A sound technician we spoke with told us that at least a few of the effects settings on the M-350 were not designed for recording, but to control dynamics and delay during live performances, which might explain what we heard. We liked the layout, which allowed the user to control most functions by individual dials, with the the exception of locating preset effects configurations. A possible limitation we saw with this processor was that it only had single input and output ports for analog audio, digital lines, and MIDI. If you were attempting to record multiple instruments, for example, during a live take, then you might need to develop a creative solution for running everything through the M-350. However, if you were only recording single instruments at a time, track by track, then this processor would still fit your needs quite well. The second offering from TC Electronic that we considered was the M2000 Dual Engine Studio Effects Processor. More versatile than the M-350, the M2000 also comes with a correspondingly higher price tag, costing in the range of $950 to $1,300. It offers analog to digital conversion, but at a higher processing power than the M-350 or the 3D FX2000. While this did not seem to make a large amount of difference in the quality of vocals recorded through the M2000, we appreciated the way that the various effects sounded with this signal processor. The features were clearly designed for use in a recording studio, as they allowed for pitch shifting, equalization, tremolo, and even precise changes to features like the decay in echo and reverb effects. The guitar tracks we listened to that had been recorded using the M2000 stood out in particular; the reverb sounded full, but clean and unobtrusive, and the tremolo sounded impressive as well. The layout seemed a bit complex and would definitely not work well for someone who is still learning about digital recording and processing, but the display and control options were ample enough to allow for rapid navigation of the functions that this processor has. However, the M2000 also has limitations on its input and output port numbers, so it seems like it would be best suited for tracking single instruments. Given the number of effects that can be applied though, this makes sense; it is meant to supplement recordings that contain a polished, or even intentionally processed, sound. The ART Pro-VLA II Two-Channel Vactrol-based Compressor is another analog signal processor we considered, and it offers a high-quality processing experience, even though its features are limited by design. 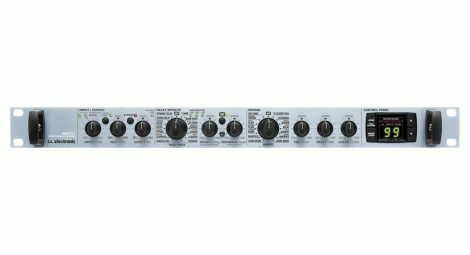 This signal processor can be purchased for $295-$350, and it is a product that seems like it would be excellent for technicians and musicians who love warm analog sounds and want the highest level of control over their compression. Because the ART Pro-VLA II does not have a MIDI output, it probably works best as part of a larger recording setup that contains a MIDI output from another device, or if you are making an analog recording. This compressor has two channels, and both channels can be independently assigned independent gain and threshold values. We saw several useful possibilities with this aspect of the compressor, such as processing and recording two guitars at the same time, or a melody and rhythm simultaneously. Alternately, you could potentially split a single instrument into two channels and record both with different compression levels if you wanted to experiment with creating some novel sounds. The Pro-VLA II would be ideal for musicians and recording technicians who already have plenty of equipment and logged plenty of hours in the studio, but who require a great compressor that is also affordable.